​I love love love my job. I'm all about candid moments, laughter, silliness, happy-tears, and closeness, and I get to watch for all those moments throughout the wedding while you enjoy one of the best days of your life. I like to get my couples interacting and thinking about why they fell in love with each other in the first place. Whether you're normally comfortable in front of the camera or not, my goal is for you to open up your images and feel like you're holding little pieces of your relationship rather than poses and head shots. By booking one of the wedding packages below, you can expect to meet with me over coffee first to talk about your wedding plans, what's important to you in your photography, see if we're a good fit, and receive a recommendation for which package(s) might best match your needs. Though you're welcome to book immediately, most couples go home to talk it over first. If you decide to choose ﻿us﻿ for your wedding day, I'll send over a contract and invoice, and once the digital signed contract and 33.33% retainer are both received, go ahead and happy dance because your wedding photography is officially booked! 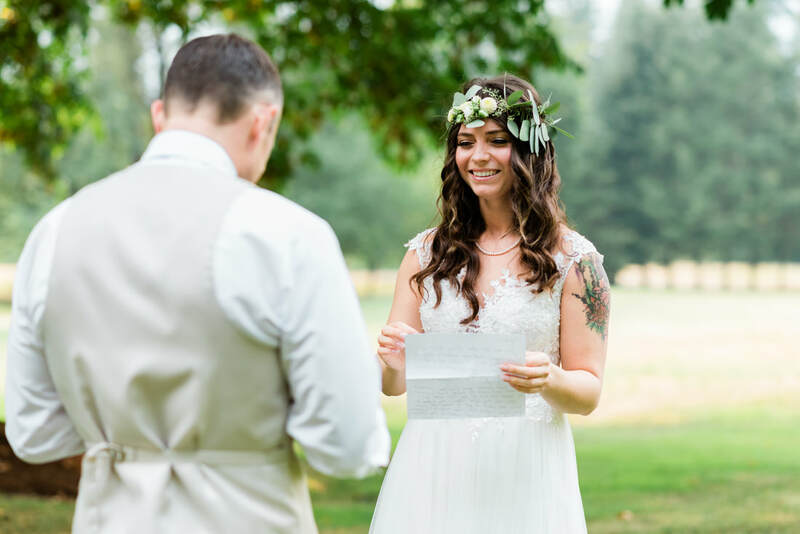 You'll receive guidance about your wedding timeline, a list of my preferred vendors, occasional check-ins, and a pre-wedding meeting closer to the wedding day. I encourage my couples to send photos and excitement whenever they're feeling joy and want to share it! We're in this together! Add-on options include engagement sessions, anniversary sessions, additional hours of wedding day photography, rehearsal dinner photography, glass print boxes, albums, parent albums, a second photographer, prints, and more. Engagement sessions are now included in our eight and ten-hour wedding collection. I love elopements! ​​If you're eloping or planning a wedding for under five hours of photography, contact me for custom pricing! Please note the wedding date and location, how many hours of photography you think you'll need, how many people you expect to be present, and which traditions you plan to have photographed (ceremony, family photos, dinner, etc.). ​Engagement sessions are the perfect opportunity to capture sweet, stress-free moments. Whether you want a cozy session at your favorite park, two locations for variety, or an adventure through the trails, there's no better time than after you've decided to spend your lives together. ​ Investments are typically $350-550 + tax. Engagement sessions are now included in our eight and ten-hour wedding collections ​and always available ​separate or as an add-on! ​Not engaged but eager to have special photos of you and your partner? These sessions are for you, too! Use this contact form to get started!